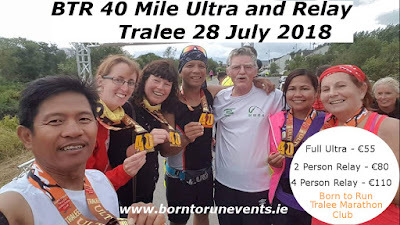 Born to Run Tralee Marathon Club are proud and excited to bring you the fourth annual Born to Run 40 Mile Ultra Marathon and second 2 person relay while introducing the first running of our 4 person relay. Taking place on Saturday July 28th in the town of Tralee, this 40 Mile Ultra-marathon consists of ten 4 mile loops. 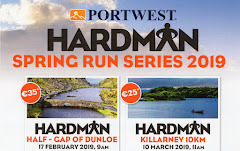 The course is made up of a relaxing (and flat) 1 mile river walkway (concrete) and country roads (not quiet flat in places). 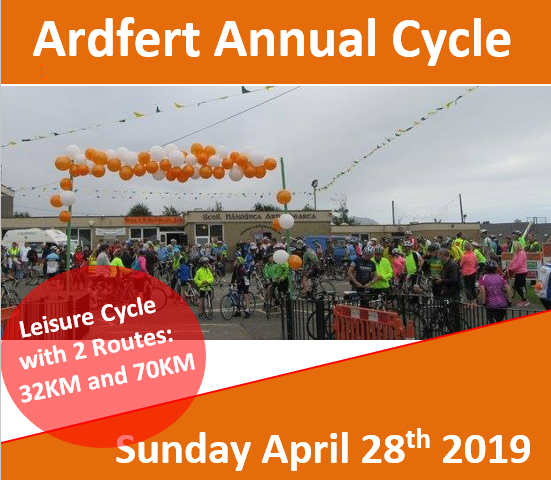 Each loop has two hills of approximately 0.5 miles each and have a climb of about 90 feet each. These hills are immediately followed by an equal downhill section which will be a welcome relief after the climb.